If your website is hosted on a server, like this website; obviously you use some FTP client software (like FileZilla, SmartFTP etc) or use some Online FTP services to access your files stored in the server. 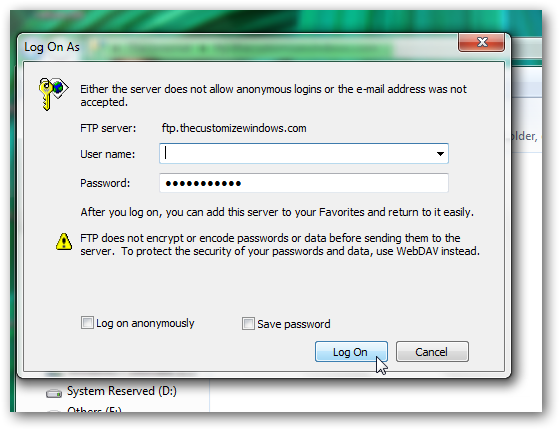 We will show you an unique way to access your FTP server to upload, download or manage the server files within Windows 7 explorer. That means, to access your FTP server, you will not need installation of any third party software or do not have to use any Online FTP services. Change “name_of_your_server” part to your server’s name and change the .com extension to others (.net, .org etc) if your domain’s name does not end with .com. You can cut, copy, paste, delete and drag files; like you manage files in your local hard disk. Remember: Deleting any file will delete it from server! So, handle them with caution. This Article Has Been Shared 2562 Times! 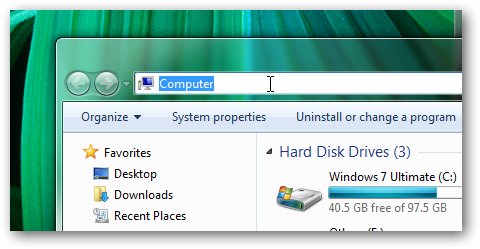 This tutorial guides you on how to create portable version of any program in Microsoft Windows 7. Since a few days my computer – Windows 7 – will not connect to any ftp site with any program. I disabled all firewall gizmos, tweaked everything there is to tweak and it still doesn’t work. Any ideas? Open a command prompt and type FTP, enter. Your prompt should change to ftp>. Type open http://ftp.microsoft.com, enter. You should see ‘Welcome to Microsoft FTP Service’. At the username prompt type anonymous, hit enter. At the password prompt enter anything (it doesn’t need to be your e-mail address), then enter. Type quit, enter to exit the command line FTP client. Even if that behaves as expected, I suggest that you run the System File Checker tool. Click the start button/orb and in the search field type cmd. In the search results, right-click on the Command Prompt and choose Run as Administrator. In the command prompt window that opens type sfc /scannow, enter (note: there is a space after sfc). It takes a while to run and if it finds any problems, it might tell you that you need to reboot. Post back with the results. Quality content is the main to be a focus for the viewers to pay a visit the website, that’s what this site is providing. Cite this article as: Abhishek Ghosh, "Access ftp server from Windows 7 explorer without using any software," in The Customize Windows, March 1, 2011, April 20, 2019, https://thecustomizewindows.com/2011/03/access-ftp-server-from-windows-7-explorer-without-using-any-software/.